Maybe the app will come to Windows Phone, but Microsoft likely has bigger plans. If you can’t beat ‘em, buy ‘em: Microsoft said Thursday that it has purchased Mobile Data Labs, a top-grossing finance app in the iTunes store for 20 months straight. Mobile Data Labs is the developer behind MileIQ, an app that tracks your movements and automatically records the mileage spent—essential data for any business traveler. What’s interesting is that MileIQ has published Android and iOS versions, but not a version of the app for Windows Phone. Microsoft correctly positioned the acquisition as one that embodied its “mobile first, cloud first” ideal of pairing mobile technologies like the smartphone in conjunction with a cloud service. 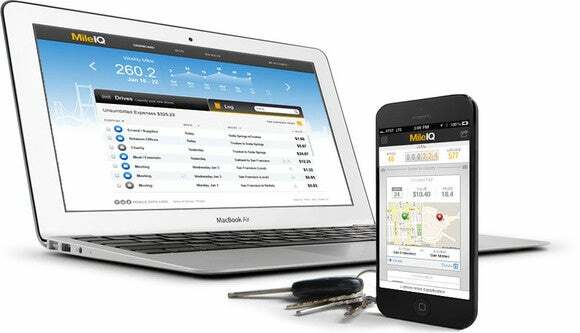 Mobile Data Labs claims its app can save users $547 per month in business mileage deductions that they’d otherwise pay for. Microsoft likely sees value in potentially hooking in MDL’s data into Excel and Cortana. Chuck Dietrich, the chief executive of Mobile Data Labs, said a million people now use the MileIQ app (Android and iOS combined). It sounds like MDL won’t just continue to enhance the MileIQ app, however. “With our shared passion and commitment to mobile productivity, the San Francisco-based MileIQ team aims to advance this mutual vision by continuing to build services for self-directed workers–services like MileIQ that are automated, intuitive and give users back time, money and peace of mind,” Dietrich wrote. Neither Microsoft nor MDL disclosed the terms of the deal. Why this matters: You could argue that buying MDL means Microsoft is buying an app for Windows Phone, but that hasn’t been Microsoft’s track record of late. Instead, Microsoft is equally willing to invest in other platforms, such as iOS, and use native apps on those platforms to entice users to share information with Microsoft. In fact, I’d be willing to bet that soon MileIQ owners will need to log in with a Microsoft ID in order to continue using the app. For “free,” of course. But the data will flow to Microsoft.